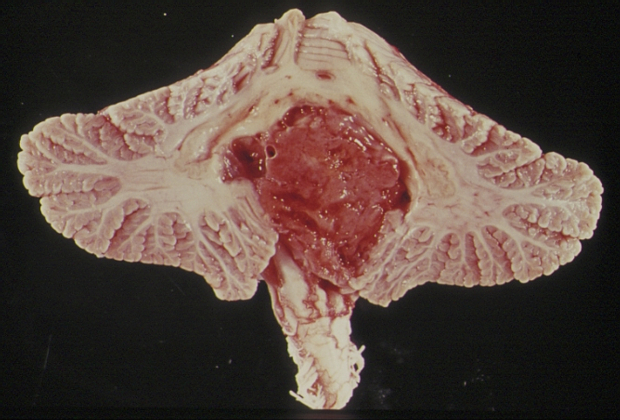 Hemangioblastomas are vascular tumors of unknown origin. 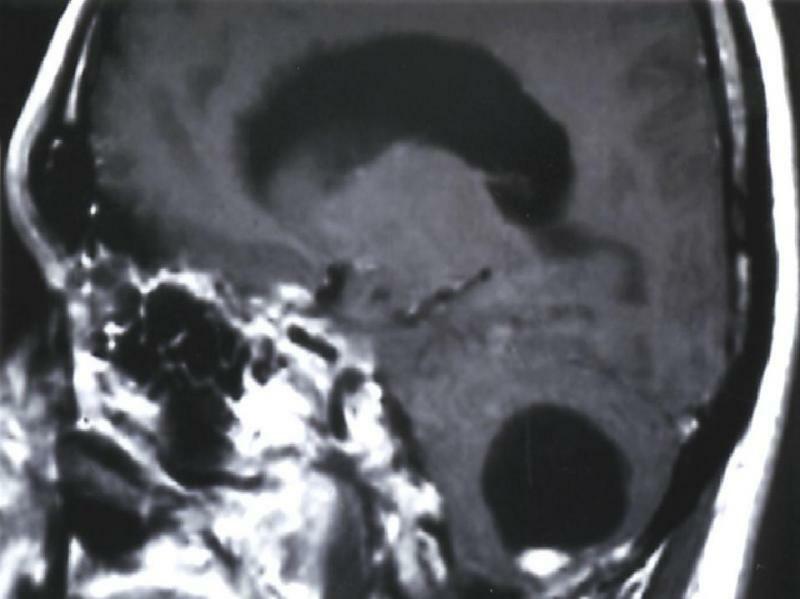 Occurring almost exclusively in the posterior fossa, these benign tumors most often occur sporadically, but 20 percent occur as part of von Hippel-Lindau disease. Hemangioblastomas are uncommon tumors, accounting for 1 percent to 2.5 percent of all primary central nervous system tumors and approximately 7 percent of primary posterior fossa tumors in adults. Hemangioblastomas typically occur in adults and become symptomatic from age 30 into the 50s. Signs and symptoms of hemangioblastoma include headaches, nausea/vomiting, difficulty with balance and dizziness/vertigo. The mass itself is found on either computed tomography (CT) or magnetic resonance imaging (MRI) scan. 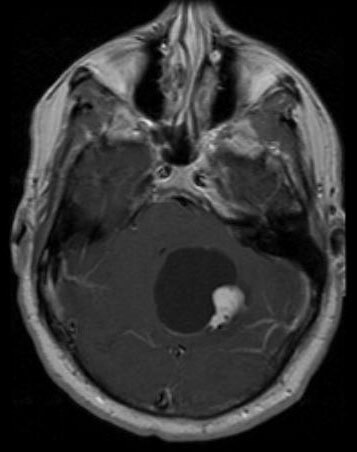 These scans may show signs of acute or previous hemorrhage either into the tumor or around it. In addition to the above scans, cerebral angiography is often used to determine the degree of vascularity. Surgical treatment may correct sporadic hemangioblastoma. Radiation therapy (XRT) may be useful to reduce tumor size or to retard growth. However, XRT does not prevent regrowth following surgery. Hemangioblastomas are potentially curable lesions, although they are the cause of death in 82 percent of patients with von Hippel-Lindau syndrome. Approximately one quarter of hemangioblastomas recur following surgical treatment.